Java is one of the most widely used programming language for developing and delivering mobile applications, games, web-based content, and enterprise software. Oracle has provided free public updates of Java SE since the acquisition of Sun Microsystems in 2010. 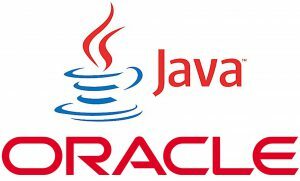 Oracle announced that effective January 2019, public updates for business, commercial, or production use of Oracle Java SE 8 will require a commercial license and public updates for individual, personal use of Oracle Java SE 8 will remain available at least through the end of 2020. Therefore, customers that remain on Java SE 8 beyond the deadlines will no longer receive updates without a Java SE Subscription. Oracle has also made changes in regard to the Java SE product release schedule and the type of release offered. As of Java SE 8, Oracle will designate a release as a long-term support (LTS) release every three years. Non-LTS releases are considered a cumulative set of implementation enhancements of the most recent LTS release. For example, Java SE9 (Non-LTS) release is superseded by Java SE 10 (Non-LTS) release which is superseded by Java SE 11 (LTS) release. Java SE 11 is a long-term support release and Oracle customers will therefore receive Premier Support and periodic releases even after Java 12 (Non-LTS) is released. Customers who have Oracle Java SE Advanced, Oracle Java SE Advanced Desktop, Oracle Java SE Suite, or Java SE with an Oracle product will continue to receive support and updates as usual. Customers who require critical bug fixes, security fixes, and general maintenance including previous versions can purchase Java SE support through a Java SE subscription. The Oracle Java SE subscription price for use on servers and/or cloud deployments is $25.00 per month per processor with volume discounts available. The Oracle Java SE subscription price for use on desktops is $2.50 per month per user, with volume discounts available. One, two, and three year subscriptions are available. Customers that opt not to purchase a Java SE subscription can opt to transition Java SE applications to OpenJDK binaries under the general public license (GPL) with classpath extension. OpenJDK builds are available on a six-month release cycle with scheduled quarterly security updates. Organizations should review the availability of Java SE public updates and the Java SE Support Roadmap and identify every application running Java before the new Oracle Java SE licensing changes go into effect to avoid non-compliance and financial exposure. Please contact Miro for questions or assistance with the new Oracle Java SE licensing changes to ensure a fully compliant environment.